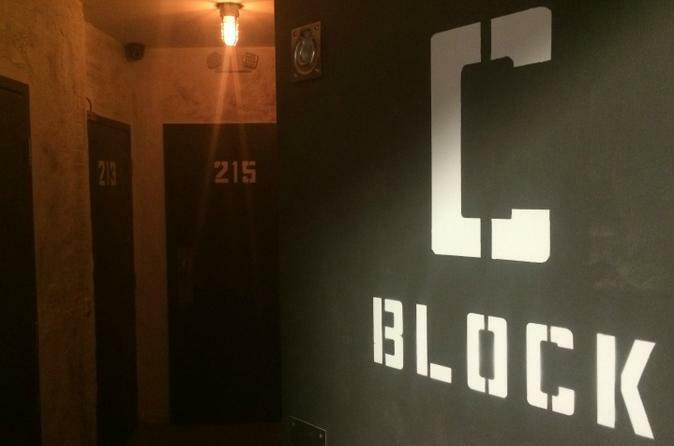 The C-Block Escape experience is a thrilling, real-world adventure requiring one to break out of prison, solve mysteries, save mankind and escape before time runs out! Ever wonder if you have what it takes to break out of prison? Here's your chance to find out! You are in prison for a crime you didn't commit. Serving a life sentence all hope seems lost until a daring escape plan is set in motion for you by a friend on the inside. But there is only a small window of time (1 hour) to see it through. Unfortunately, you don’t know the whole plan, but luckily there were clues left for you to find. You will just have to figure it out. Do you have what it takes to break out of prison before your last chance to escape is gone forever?